Beautiful doesn't have to be expensive. "Would you like to present or protect this?" Be prepared to be asked this on your visit to the frame shop. 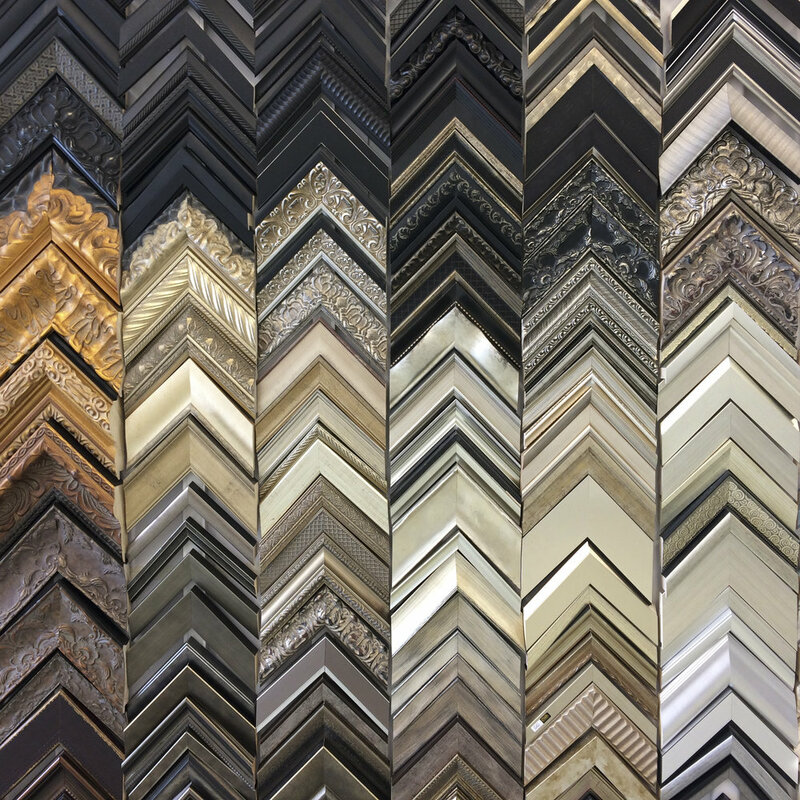 With over 25 years of custom framing experience founder LANCE SAWYERS wants to understand his customers and their artwork. With a background in importing mouldings from around the globe Lance offers a unique knowledge of framing components as well as the technical skills to beautifully finish a piece of art. We source moulding from around the world with a nice selection of Italian and Brazilian frames. From Traditional to Modern to down-right quirky, we scour the offerings by manufacturers to curate the largest and most unique collection. Our team is guided by master framer and shop owner LANCE SAWYERS. Lance has worked for the film, art and comic industries since 1992. He personally trained his staff to assist customers with frame and mat selections for an array of projects from restoration to gigantic movie posters. Oversized Art, Shadowboxes and More. We have framed, mounted and built alternative and unique presentations for our customers. Some of the objects we have framed include sports memorabilia, action figures, comic books, toys and trophies.